This innovative new Cartridge System is designed to offer Fork performance that has yet to be offered in Motocross/Off-Road motorcycles. 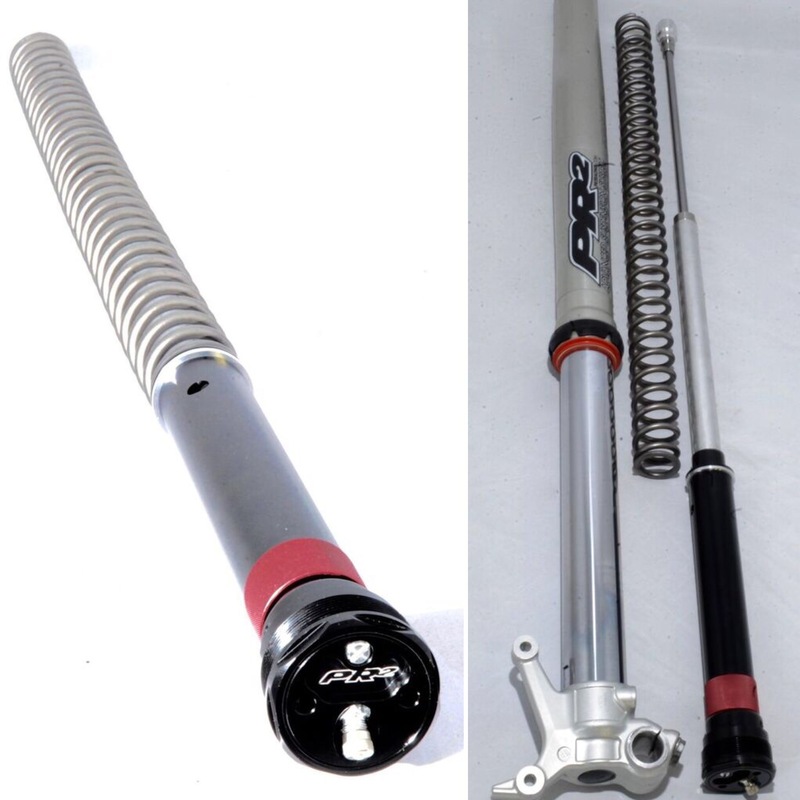 The system is a Coil Spring conversion supplemented by an Air Spring Cylinder. While a Coil Spring is known to offer maintenance free plush fork performance, it lacks the progressive build of force that the Air Spring Forks have to offer. Now a rider can have both in the same system!! The Hybrid Spring/Air Conversion supports the bike weight and initial part of the stroke with a Coil Spring while building pressure in the Air Spring as the fork progresses further into its travel. While remaining extremely simple, this system is a tuners dream. Used in its most simple form, a rider would set up his fork with his "normal" preferred spring rate on any Spring fork system and leaving the Air Pressure at "zero" and allowing the pressure to build as the forks goes through the travel. The pressure inside the fork will go from zero psi to hundreds of psi at the end of the stroke giving additional bottoming resistance over a normal Spring Fork. For the more advanced tuner and incredible for Off-Road and Woods a rider can install a Coil Spring a couple of rates lighter than normal and supplement the rate by using a very low pressure Air in the fork (per instructed pressure) to make a very predictable consistent tuning parameter resulting in razor sharp turning that is just not possible in most Air only Fork systems. Snowbikes are becoming increasingly more popular and the Air Fork systems are not designed to handle the extreme cold and the additional forces applied to the forks in a Snowbike application. Air seal failures are very common and the Hybrid Spring/Air Conversion is a perfect solution to handle the cold temperatures and the extra forces needed for Snowbike riding. Call to discuss your application today!! Fits all Showa TAC and WP Air fork applications.